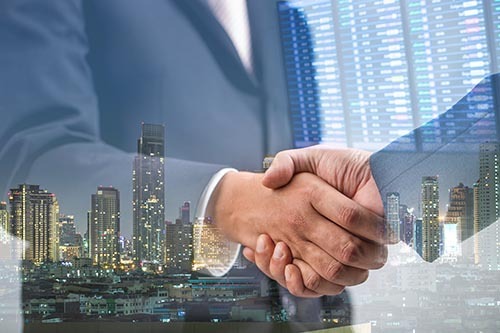 The Finnish Smart Mobility FinTech company PayiQ and Iranian Parstin Mehr Kish Company have signed a significant agreement for sales and technology partnership. Parstin Mehr Kish Co. is a technology company registered in the Kish Free Zone in Iran. It has strong and extensive connections to Kish organizations and mainland banks, financial sector, credit and investment institutions and online payment companies. “We are very excited about this cooperation and our joined efforts in the Iranian markets. Our Ticketing as a Service platform offers a new way of providing mobile ticketing and payment services. Kish island is a rapidly growing tourist attraction visited by over million people yearly and thus has enormous potential for easy and safe mobile payment services. Parstin Mehr Kish Company’s knowledge of the markets and established connections with the local operators are utterly valuable to us in gaining a foothold in this region.” says PayiQ’s CEO Tuomo Parjanen. Parstin Mehr Kish Co. was established with the goal of supplying superior European products as well as providing high-quality after-sales services with large investments on recognition and contracting reliable overseas companies and introducing suitable products for local organizations and banks. PayiQ develops cloud-based intelligent mobile ticketing, payment and validation solutions for smart cities, transport operators and event organizers around the globe utilizing Microsoft Azure technology. Our solutions provide passengers a seamless way to travel from door-to-door and a freedom to combine various means of transport and services under one transaction using their mobile phones. The open ecosystem enables passengers to freely choose from a range of payment methods and surf between different applications such as route planning, shared cars or event operators. We help public and private service providers streamline their mobility services, increase safety and security in using them and lower the cost of fair collection while increasing customer satisfaction. PayiQ collaborates with Team Finland in developing solutions for smart cities.